At Roots Hair Salon, we specialize in enhancing an individual’s natural beauty. 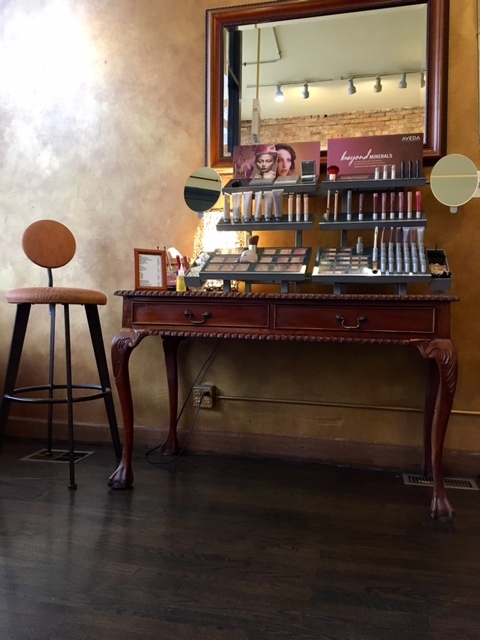 Our friendly, experienced stylists spend time getting to know our clients—their likes and dislikes, passions and goals—allowing us to create unique, personal looks that complement our clients’ modern lifestyles. We create real beauty for real people with real lives, using only the best organic products along the way. 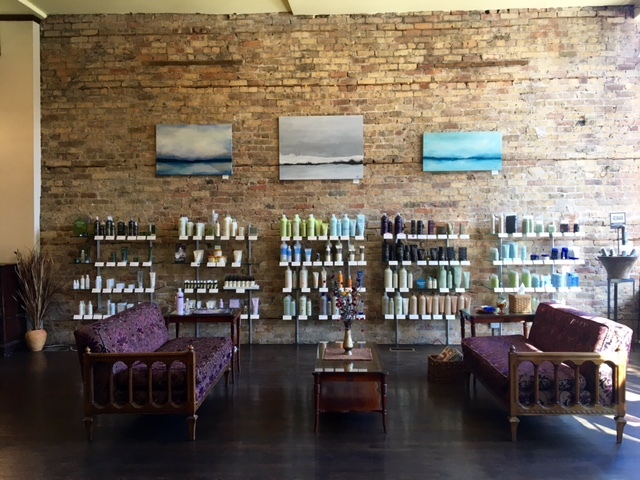 As an Aveda Salon, we carry the full range of hair, skin and bodycare products. Request an Appointment via Email or go here to Book Online! CANCELLATION POLICY: To best serve our whole family of clients, the policy to cancel or change without a fee is 24 HOURS. A credit card will be requested to secure and confirm your booking. Thank you! Always conscious of the impact we have on the Earth, Roots Hair Salon has been committed to being green since we opened in 2001. We are proud to be a Green Circle Salon, diverting salon waste and hair clippings to create hair mats for soaking up oil spills and other ecological projects. With each and every clip of the scissors, you too can feel good about contributing to the bettering of our Earth. In the salon this season, we are featuring paintings by Anna Khadine Please enjoy the art!